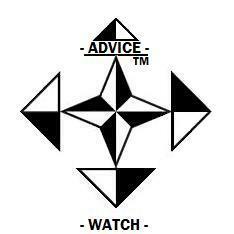 The original Advice Watch is now accepting applications from those who want the unique distinction of the CAP and logo credential of a Certified Advice Professional. This designation of honor is important for those who contribute quality advice and tips on the internet. In the near future, the people who have this credential will be our main go-to pool whenever we want to refer or share links and articles about any particular topic. Currently, we are still primarily a customized e-mail newsletter service, but will shift more toward an open banquet magazine. Thus, we will need great advice and tip content to point towards. We will first build a searchable directory of CAP Certified Advice Professionals. Then, we will also use the directory for header material whenever we get an itch to talk about a particular topic, or refer those who seek advice about a particular topic. But it’s not exactly easy to get a certification from us. You first must demonstrate your ability to give quality advice. And it needs to be done in such a manner that we don’t find any hidden agendas or biased misleading information in order to make a sale somewhere else. That’s not to say that you can’t be selling anything — including the advice itself; as long as you make it clear that you sell or otherwise may have a biased connection to a particular item or service that you may be recommending. For example, you might relate something like: “I recommend Hypothetical brand steak knives to cut gourmet steaks because they don’t leave any rough edges; and note that I sell these knives because I had great experiences with them myself.” From here, the seeker can better gauge any possible hidden motives behind the advice. It helps you sell anyways. If people feel like you are being honest with them, they are much more likely to buy from you. You can also quickly lose your CAP credential if we get too many complaints that the seekers feel betrayed or swindled by the advice given. Unauthorized use and/or duplication of this material in whole or in part without express and written permission from this site’s author and/or owner is strictly prohibited. Copyright © 2019 Advice Watch by Advice Star. | All rights reserved.